FREE DOWNLOAD - 15 TIPS TO BE HAPPY TODAY: Life is too short to be unhappy. Many people think that being happy is all about the circumstances surrounding them. But happiness is a state of mind and the mood that you carry around with you every day dictates that happiness. You cannot expect to be happy if you don't choose to be happy. Read my free guide on how to be happy today. FREE DOWNLOAD - FIND YOUR PASSION WORKBOOK: Use this workbook to discover what your passions are and how to profit from them. Every one of us has our own uniqueness that others will not only admire but want to learn from. FREE DOWNLOAD - 5 YEAR PLAN: Statistically speaking, you are more likely to meet your goals simply by writing them down. Inspired by Rebecca Jean's 3 Steps to a 5 Year Plan. Download our 5 Year Plan by writing down everything you would like to accomplish in 5 categories; Career, Bucket list, Financial, Family & Personal. Once you figure out your life goals you can then break them down into 5-year goals, then daily goals. FREE DOWNLOAD - FINANCIAL STATEMENT (RICH DAD POOR DAD): Inspired by Rich Dad Poor Dad, download our Financial Statement to help you to start thinking and acting like a business owner. Start owning where you are financially, focus on your in-comings rather than your out-goings and watch opportunities open up and present themselves. Fill this out every month to keep track of your finances - Remember to focus on: Increasing you Income, Increasing your Assets and Decreasing your Liabilities. FREE DOWNLOAD - 1 PAGE PRODUCTIVITY PLANNER: Organize your projects by downloading this 1-page productivity planner. 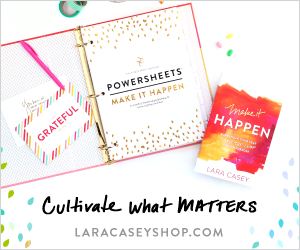 Not only will this planner help you to organize your projects, it will also help you to focus on the tasks that are most important right now. There is nothing worse than having too much to do and getting overwhelmed by it all. Print off as many copies as you need to organise all of your projects.